Tax specialist Ryan Halfnights, with D&H Group in Vancouver, says now is a good time to prepare. “So when April comes along and it’s time to file, it’s less painful,” he said. All have been phased out over the past couple years since the Liberal party introduced the middle class tax cut. For many tax filers, using DIY tax software is just fine, as long as their returns are not complicated. Don’t be afraid to claim legitimate expenses. Halfnights says many taxpayers are not aware that they can claim unreimbursed employment expenses like the use of an automobile. Also, medical expenses can sometimes be ignored. But first you have to meet a threshold. Only the amount above the lesser of either $2,237 or three per cent of your income can be claimed. For example, if your net income is $50,000, the first $1,500 won't count toward a credit. But if your expenses total $2,000, $500 will be applied to your bottom line. 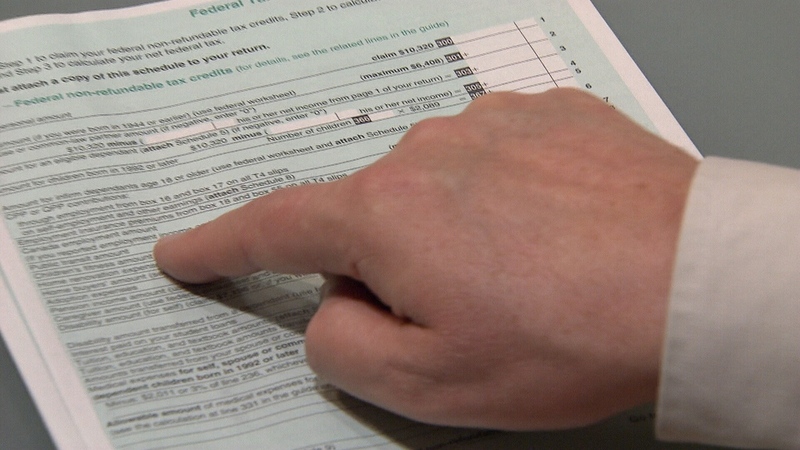 CRA has published a list of allowable medical expenses. The key to dealing with CRA is to be detailed and organized. You should keep all your receipts and records for six years. You can keep them in electronic format but be sure to have a backup copy. They must be readable and stored in Canada. The CRA has also beefed up enforcement. The government has spent about $1 billion over three years to go after tax cheats. And the CRA says they've already recovered that investment in additional tax collected and expect to recover an additional $7.4 billion over the next three years. Correction: The TV version of this story indicated the income tax reduction of 1.5 per cent for middle income earners was introduced in 2018. It was introduced in 2016. Tax tips for 2018 filing.